Sitting in the doctor’s office and being told you have type 2 diabetes is a pretty scary moment. It can feel like a prison sentence – or worse. What if there was a sign, evident much earlier in your metabolic life, that there might be a health problem worth paying attention to that, if attended to, and acted upon, could save years of pain and suffering, not to mention tens of thousands of dollars? The root causes of most metabolic dysfunction are fundamentally the same – poor nutrition. The metabolic system is essentially our cellular engine, making (and destroying) all cells in our body. Hypoglycemia is on a long list of metabolic disorders that have a complex range of causes but are primarily food-related disorders. Hypoglycemia may be considered an early indicator of more advanced disease. The insight highlighted above by Dr. Seale Harris regarding hypoglycemia was prophetic – in the 1920s he understood the importance of viewing blood sugar dysfunction systemically. Low (and high) blood sugar are indicators that something is out of balance with the metabolic system (most likely disruption in blood sugar metabolism caused primarily by diet). Today, April 15, 2019, the Hypoglycemia Support Foundation (HSF) unveils its new website at https://hypoglycemia.org. Why should you care, just another website, right? In every minute taken to read this news, someone is dying from preventable diet-related disease. More people have died from preventable metabolic disease since 1980 than the sum of all the world’s military conflicts combined. This is more than a burgeoning health issue – it is a national security issue with profound economic implications. Another relevant fact: back in 1980, the HSF was founded by a patient advocate named Roberta Ruggiero. Today, if you live in South Florida, you might run into Roberta at the supermarket, beauty salon or local bookstore – she would just seem like a nice lady, an ordinary citizen, going about her daily business – but she is more than that – she is modern day superhero. Forty years ago, after suffering years of being misdiagnosed for a mysterious set of ailments profoundly affecting her physical and mental health, Roberta was subjected to a travesty of medical abuse – receiving multiple “treatments” of electroshock therapy…for a condition that would later, finally, be recognized as hypoglycemia. Many of us would have been permanently wounded by such an experience, but Roberta responded by writing a book, The Do’s and Don’ts of Hypoglycemia, and founded a nonprofit, the Hypoglycemia Support Foundation, and then kept it going for four decades – reaching millions with vital health information and changing countless lives. “I couldn’t let what happened to me, continue to happen to others – so I took action. I had no idea the epidemic of blood sugar disorders would grow to the proportions it has today,” Roberta said. Imagine if you had advance notice, years ahead of getting type 2 diabetes, non alcoholic fatty liver disease (NAFLD), or worse yet, a heart attack or stroke? Hypoglycemia, also known as low blood sugar, is one of the earliest and most often experienced indicators of metabolic dysfunction by the general population. For decades, the HSF has been filling a critical gap in educating the public about a health issue that is a significant precursor to more advanced metabolic diseases. 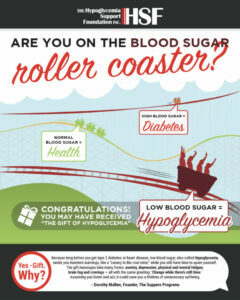 What if you have received the “gift” of hypoglycemia? Wait, what? Hypoglycemia: a gift? Yes. Gift. Because, long before you get type 2 diabetes or heart disease, low blood sugar, also called hypoglycemia, sends you insistent warnings, like a “canary in a coal mine,” while you still have time to spare yourself. 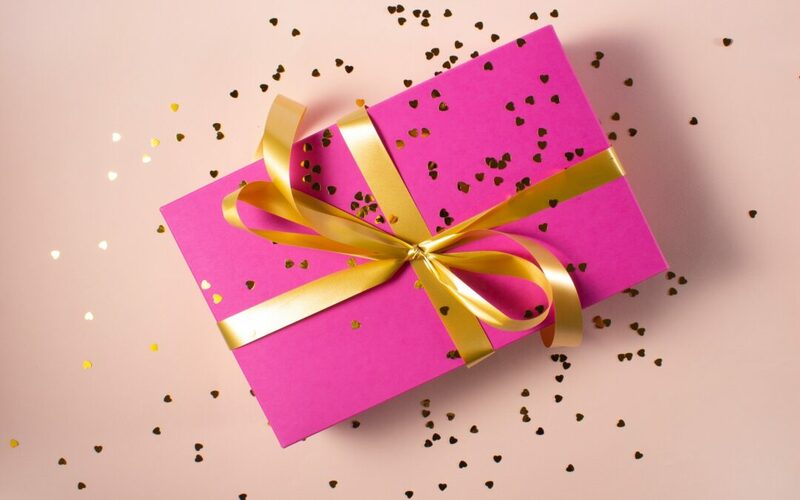 The gift messages take many forms: anxiety, depression, physical and mental fatigue, brain fog and cravings – all with the same greeting: ‘Change while there’s still time.’ Assuming you listen and act, it could save you a lifetime of unnecessary suffering. The new www.hypoglycemia.org website was made possible with support from Connie Bennett, bestselling author of Sugar Shock and Beyond Sugar Shock and the upcoming book, I blew my diet! Now what? “When I first talked to Roberta more than a decade ago, I was a huge sugar addict, carb junkie, night owl and overworked journalist with 44 baffling ailments. With help from Roberta Ruggiero and the Hypoglycemia Support Foundation, I kicked my sugar addiction, stabilized my blood sugar and got a new lease on life. “I never would have learned about low blood sugar and why it’s so important to kick processed carbs and sweets if it weren’t for the eye-opening information and tremendous patience of the amazing Roberta Ruggiero,” Bennett says. “Then, a few years ago, Roberta came to my rescue again when I had months-long carb relapse after losing my dying Mom. “I’ll forever be grateful,” continues Bennett. Connie is one of tens of thousands who have found the HSF after years of unnecessary suffering. So, no, this isn’t just another website; the urgency of this work has never been greater. The new HSF website offers a wide range of useful information for sufferers of a medical condition that is now affecting a majority of the global population. While there are many types of hypoglycemia, the most common form, and typically misunderstood and undiagnosed, is reactive hypoglycemia… a condition that is preventable and reversible for most. While simple diet and lifestyle changes are often extremely effective, this can be very hard, especially when we live in a food environment that barrages us daily with processed foods laden with sugar and junk carbohydrates, constantly tipping us in the wrong direction. So, the HSF continues its exceptional journey of education and support, offering an extensive new range of resources and articles on its website, including the world’s first comprehensive infographic on hypoglycemia. Complementing its website are a public Facebook page and private Facebook Support group. “We expect this new website to change many more lives – I have suffered for many years on the “blood sugar roller coaster” and know how frustrating it can be to lack vital information about one’s health. 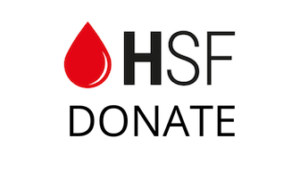 Serving as the first CEO for the HSF is exciting because it allows me to “swim upstream” and reach millions of people before they sink into chronic and debilitating metabolic disorders – simply by helping them recognize early signs that our blood sugar gives us,” states Wolfram Alderson. In every minute taken to read this blog post, someone is dying from preventable diet-related disease. More people have died from metabolic disease since 1980 than the [i]sum of all the world’s military conflicts combined. This is more than a burgeoning health issue – it is a [ii]national security issue with profound economic implications. The HSF seeks funding, support and partnership to develop much needed educational content and programs for medical professionals and their patients that focuses on metabolic health and nutrition – preventing, treating, and resolving diet-related issues. The urgency of this work has never been greater. The HSF is a 39-year old nonprofit organization, founded by a patient advocate, dedicated to forging a healthier world empowered by science-based nutrition and the prevention, early detection, and management of metabolic disease. Hypoglycemia, also known as low blood sugar, is one of the earliest and most frequently experienced indicators of metabolic dysfunction by the general population. For decades, the HSF has been filling a critical gap in educating the public about a health issue recognized as a “canary in the coal mine” of metabolic disease. The HSF has forged a compelling new strategic vision and is poised to expand its impact at a critical moment in U.S. public health history. Dr. Seale Harris, the [iii]pioneer researcher of hyperinsulinism, viewed hypoglycemia as a harbinger of more complex metabolic disease as early as 1924: “The low blood sugar of today is the diabetes of tomorrow.” Today, low blood sugar is an issue that affects the majority of the population in some form or another, and is a key indicator that metabolic dysfunction is at play. Patients, adequately informed by their doctors, can take action to address diet and lifestyle factors that are driving the condition before more advanced diet-related disorders progress. Unfortunately, many doctors are poorly prepared to diagnose and treat the condition within the context of metabolic (systemic) dysfunction. In 1958, the year after Dr. Seale died, slightly more than 1.5 million people were diagnosed with diabetes each year. In 2015, the [iv]rate had increased to over 23 million per year. Since 1980, [v]rates of type 2 diabetes have quadrupled. 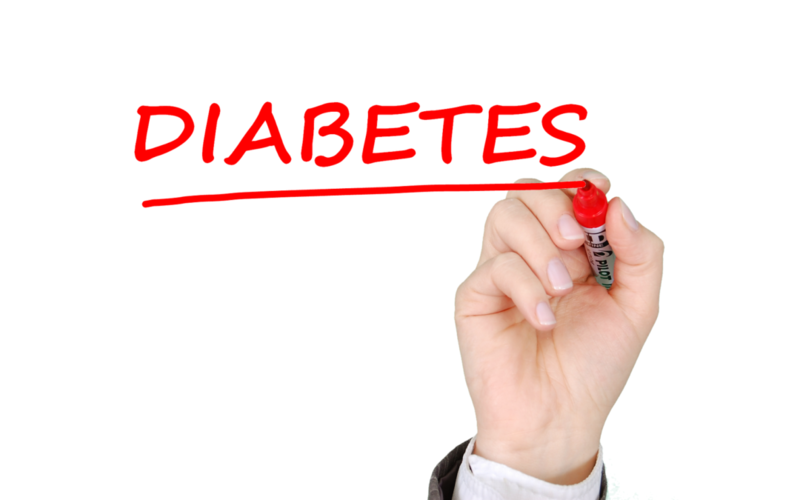 [vi]More than half of Americans are now either pre-diabetic or diabetic. [vii]Nearly half of adult Americans are obese, a rate that has nearly doubled since 1980, while [viii]childhood obesity and diabetes diagnoses have tripled. [ix]One in two adults in the U.S. has a chronic disease. [x]One out three children born in 2000 will have diabetes. Chronic disease rates have escalated, and now exceed communicable disease. While 80% of the obese population suffer from metabolic disease, it is important to know that 40% of the non-obese also suffer from metabolic disorders. Conditions such as non-alcoholic fatty liver disease (NAFLD) are not easy to detect and are [xi]increasing at alarming rates in adults and children. 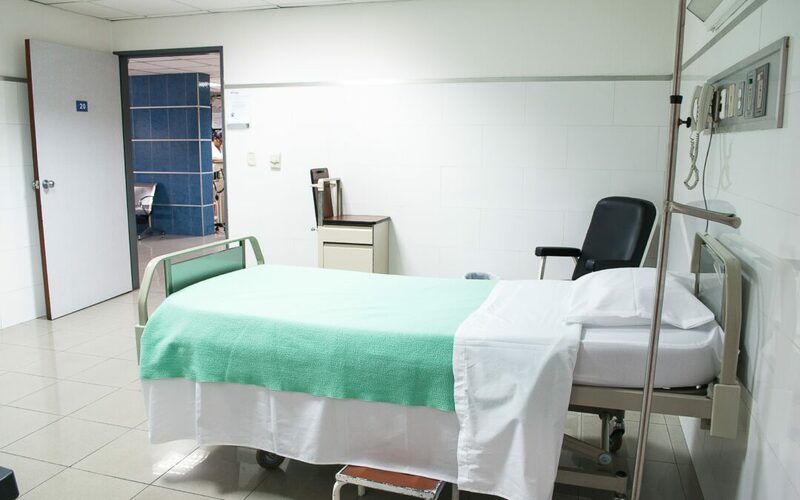 Metabolic disease erodes our health care system both directly (hypoglycemia, type 2 diabetes, NAFLD) and indirectly (heart attacks, strokes, cancer, dementia), while prevention programs are lacking funding and support. National [xii]health care expenditures are currently $3.2 trillion – 75% of this results from chronic disease, and 75% of this is preventable and diet-related. An estimated $1.8 trillion is being wasted. One study showed that a 10% reduction in mortality from heart disease would have a value of $5.5 trillion to current and future generations, while a 10% reduction in mortality from cancer would be worth $4.4 trillion. [xiii]Research suggests that a modest reduction in avoidable risk factors could lead to a gain of more than $1 trillion annually in labor supply and efficiency by 2023. Wellness programs generally report high returns of investment (ROI), and preventive and early intervention measures targeted to those already identified to be at risk, result in significant ROIs. [xiv]Data show that public health interventions generate anywhere from four to twenty-seven dollars for every dollar invested. The good news is that we are resilient, and [xv]research shows that simple interventions, such as reducing consumption of added sugar within limits recommended by the World Health Organization (WHO), can result in dramatic improvements in child metabolic health, including a 22% reduction in liver fat, in as little as 10 days. Defying the statistics on diet-related disease, and the ROI of preventive measures, less than 30% of medical schools require courses in nutrition, despite repeated calls from the U.S. government and medical authorities to do so. Research shows that most primary care doctors are unprepared to diagnose and advise patients with diet-related disorders, lacking the time, training, and tools to help patients, and, by default, focusing on management of disease versus actually addressing the root causes of metabolic dysfunction. Doctors have little confidence that patients can make the necessary lifestyle changes, and rely on drugs like Metformin and procedures like gastric bypass surgery. One of the leading ways to provide training to doctors and health care professionals is a system called Continuing Medical Education (CME). CME education is supported by the national Accreditation Council for Continuing Medical Education, and consists of educational activities designed to maintain, develop, or increase the knowledge, skills, and professional performance and relationships that a physician uses to provide services for patients, the public, or the profession. CME content is widely respected and validated by respected institutions such as the American Medical Association, and provides a body of knowledge and skills recognized and accepted by medical professionals. CME keeps health care providers up to date with the most current knowledge needed to help their patients. In contrast, patient medical education is unregulated, and health literacy among the patient population is hobbled by a lack of quality education, and inconsistent information that lacks standards aligned with current evidence-based medicine. Information about diet-related disorders is particularly inadequate, and many doctors prefer to avoid providing education about nutrition and diet and focus on treating patients with drugs or devices. Prevention of diet-related disease has little support within the mainstream health care system, and the protocols for sustaining optimal metabolic health and nutrition are woefully lacking. While dietary interventions have been developed that can reverse type 2 diabetes and non-alcoholic fatty liver disease – few doctors are aware of the most current science. HSF leadership have been involved in the development of the nation’s first Metabolic Health and Nutrition CME summits at Swedish Hospital in Seattle. The second summit is took place June 15-16, 2018. The first summit focused on [xvi]Pediatric Metabolic Health & Nutrition and the second summit expands the focus to Metabolic Health & Nutrition for the Whole Life Span. HSF would like to foster the development of similar CME summits at other leading health care institutions in the U.S. The HSF would also like to offer smaller CME programs focusing on specific sets of topics featured at the comprehensive metabolic health and nutrition summits. The development of these CME modules will build on the impressive network of contacts in the field that leadership of the HSF has assembled over decades of work. There is a distinguished and very impactful group of leaders in the metabolic health and nutrition field – but there is a lack of awareness about their work. HSF will tap their considerable expertise and knowledge (critical to developing high quality CME content featuring the most current research and practice) and bring their work to national audiences. In conjunction with the development of the CME programs, HSF also proposes to develop Patient Medical Education (PME) programs that translate the content developed for professional health care providers into education that is relevant and applicable to the patient population acutely affected by metabolic health disorders. It is not unusual for patients visiting diabetes clinics to be handed one-size-fits-all diet guidelines like the “Food Pyramid” or “My Plate.” These diet plans, high in carbohydrates, are typically not what the patients need, but Registered Dietitians feel compelled to follow Academy of Nutrition and Dietetics (AND) guidelines that are woefully out of date. Drugs like Metformin (Glucophage) are routinely prescribed, designed to managed disease, not eliminate the causes of it. If any of this sounds like something you might want to get involved with, please contact Wolfram Alderson, CEO, Hypoglycemia Support Foundation by email. [i] U.S. deaths since 1980 caused by: terrorism = < 4,000; warfare = <9,000; gun violence = <1,500,000; diet-related diseases = >45,000,000. [v] Type 2 Diabetes Rates Quadruple Worldwide Since 1980. [xiv] Return on investment of public health interventions: a systematic review. [xvi] Pediatric Metabolic Health and Nutrition Summit, Swedish Hospital, Seattle. The food-mood connection is a vital one – listening to what blood sugar is telling you and taking appropriate actions can dramatically improve your metabolic and mental health. 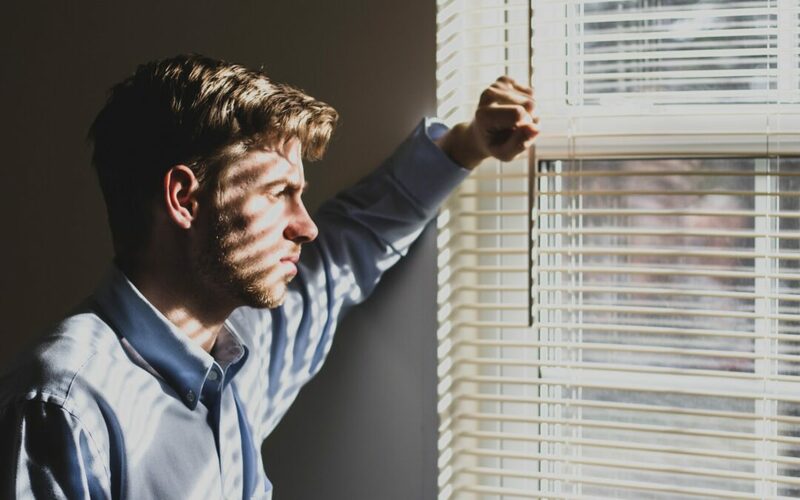 Mental health conditions are increasingly being evaluated within the context of metabolic health. Blood sugar dysregulation (high and low), often associated with insulin resistance and hypersecretion, is one of the “canaries in the coal mine” for many metabolic and mental health disorders, and is associated with many medical conditions. Hypoglycemia is one of the most confusing, complicated, misunderstood, and too often misdiagnosed or undiagnosed conditions of modern medical history. A growing need/emphasis on patient self-advocacy and education is emerging, since, unfortunately, many healthcare professionals are poorly equipped to diagnose the issue, and often lack the training in nutrition science to prescribe a proper dietary response. Nutrition education in medical schools has actually declined in the last three decades. How do you listen to what blood sugar is telling you, and what actions can you take as a patient? Hypoglycemia is associated with a wide variety of diet-related disorders (metabolic syndrome, type 2 diabetes, fatty liver disease, etc.) and medical conditions (critical illness, drug side effects, organ failure, gastric bypass surgery, etc.). The most common form, functional / reactive hypoglycemia is diet-related and preventable. There are tools available to you that can help pinpoint why and where you might be on a blood sugar roller coaster, and simple solutions involving diet, stress, and lifestyle are accessible and affordable. New and old diagnostic tests and technology can help you pinpoint what the issues might be, and provide helpful data to your healthcare provider. Some conventional methods such as keeping a diet/symptom diary and a variety of tests have been in place for decades. Now, new bio-monitoring devices have the potential to empower consumers to optimize their metabolic and mental health – matched with personalized nutrition built on the foundation of real food.